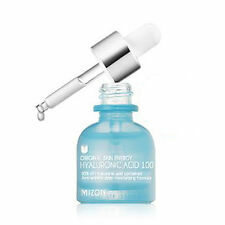 Mizon Hyaluronic Acid. Hyaluronic acid 50% contained-highly concentrated solution Essential Factor Solution. Custom & Duties. Rich in epidermal growth factor, this ampoule improves the appearance of fine lines, wrinkles, scars, and dark spots. Suitable for all skin types. This is an intensive forehead and middle of forehead care. GRP Wave Forehead Patch 1pc. Put the patch on the middle of the forehead first. and then the entire forehead from the lower upward. by PVP hydrogel type patch - the patch is reusable as it is non-sticky. Purito . Contents : 150ml / 5.07fl.oz. 2018 New Boosting Essence. with suitable amount of essence on your face after cleansing your face. 2 way to use : At the last step of skin care, put suitable amounts of the essence on your face. Hadalabo 白潤 Shirojyun. Rohto Hadalabo (Hada Labo). with Arbutin. Brightening Lotion. HADA LABO Shiro-jyun Clear Lotion should be used after washing and serves as the foundation to your skin care routine. 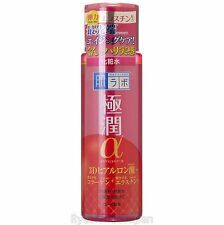 HADALABO Goku-jyun Alpha Lotion should be used after washing and serves as the foundation to your skin care routine. (5.7 fl oz/170 ml). Hadalabo 極潤 Gokujyun Alpha. After removing your makeup and cleansing with HADALABO Goku-jyun Face Wash, pour a nickel-size amount of the lotion into your palm and rub between your hands to warm. 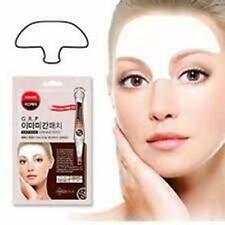 Facial Muscle Exerciser Slim Mouth Piece Toning Exercise Toner Flex Face Smile. Mizon COLLAGEN POWER LIFTING TONER. 1.54% of marine collagen solution contained. The first phase of the initial aging fighter filled elastic,jelly toner. followed with toner,dabbing until absorbed. Hadalabo 極潤 Gokujyun Premium. Rohto Hadalabo(Hada Labo). Glycolic Acid 7% Toning Solution is a water-based toner with glycolic acid and botanical extracts. The Ordinary Glycolic Acid 7% Toning Solution. At night after cleansing, saturate a cotton pad and sweep it across your face and neck. Description: Facial Muscle Exerciser Mouth Toning Tool Exercise Toner Anti Wrinkle/Aging Item Specifics: Type: Vibrating Functional: Anion Color: White Balance Block Weight: Green:16.5g, Red:22g, Yellow:28.5g Box Size: 59 x14 x 5.7 cm （1cm=0.39Inches） Package Included: 1 pcs Facial Mouth Toning Tool Note: 1.Please allow 1-3cm error due to manual measurement. Please make sure you do not mind before you bid. 2.The colors may have different as the difference display, please understand. Payment We accept PayPal only..
After wash the face, put proper amounts to hand. Evenly apply it to the skin. HOW TO USE. Description: Facial Muscle Exerciser Mouth Toning Tool Exercise Toner Anti Wrinkle/Aging Item Specifics: Type: Vibrating Functional: Anion Color: White Balance Block Weight: Green:16.5g, Red:22g, Yellow:28.5g Box Size: 59 x14 x 5.7 cm （1cm=0.39Inches） Package Included: 1 pcs Facial Mouth Toning Tool Note: 1.Please allow 1-3cm error due to manual measurement. Please make sure you do not mind before you bid. 2.The colors may have different as the difference display, please understand. Payment. In this case it does not leave a sticky film or sensation of astringency. Code 10308. Providing Micro-vibrations, this product is designed to stimulate blood circulation within the layers of the skin to relax muscles, promote collagen synthesis and refine tired and ageing skin. 24k Gold Plated Luxury Beauty Bar. $Osmosis Clear Activating Mist 3.4oz / 100 mL Authentic FRESH/FAST SHIP. It is supposed to tone your face by expanding and contracting flaccid facial muscles. 1 x Slim mouth pieces. Color: White. With pearl, algae, ruscus, cucumber, NMF & Dead Sea salt Alcohol free | Colorant free | Parabens free. Active ingredients: pearl extracts, horseradish, cucumber, seaweed, Dead Sea minerals, allantoin, lactic acid, vitamin B3. D2O Hydration Spray 90ml. Jane Iredale. A nourishing facial spray to fight against evaporation. Scented with ylang ylang to linger on skin durably. Blended with chamomile & myrrh extracts to relieve irritated skin. Condition is New. This multi action formula is enriched with silk proteins, licorice extract and Glycolic Acid. Liquid Gold 100ml. Mild facial toner for cleansing, rejuvenating and refreshing the skin. Exfoliating fruit acids keep up the skin hygiene while complex of herbal extracts prevents and calms inflammation, reduces clogged pores, minimizes the signs of redness and strengthens blood vessels. Hadalabo 白潤 Shirojyun. HADALABO Shiro-jyun Clear Lotion should be used after washing and serves as the foundation to your skin care routine. This is the HADALABO patting technique. (5.7 fl oz/170 mL). Formulated to create the appearance ofhealthier ,more radiant and younger-looking skin, its effective results will have you turning heads. Wrinkle-free skin may be difficult to achieve, but a good skin care routine and targeted anti-aging products will help minimize the effects and keep the skin looking younger and fresher. Add to that the exfoliating effects of Salicylic Acid, and our serum is ready to fight blemishes and improve acne prone skin leaving it smooth and soft for a renewed radiance, tone and texture. The preparation is enriched with camphor, which has a disinfectant, porous and calming effect. Grapefruit and lemongrass oils strengthen the blood vessels. Cleansing tonic protects against free radicals, preventing the appearance of wrinkles. Alongside this, lactic acid exfoliates further, prickly pear extract reduces irritation and lemongrass extract brightens and clarifies skin. Apply to clean skin as an exfoliating serum, morning or night. Why should we allow our facial muscles to sag and slacken causing premature ageing when we can prevent this with gentle exercise. Many people exercise on a regular basis to keep fit but most of us never do any facial exercises which makes no sense. Beauty Sleep Power Peel 50ml. Axolight &- Creates a brightening effect for the complexion. An overnight, rejuvenating sleep mask suitable for all skin types including mature and acne prone complexions. This delicate tonic cleanses, rebalances and rejuvenates the skin, soothing it and giving a sense of comfort; contains glycolic and lactic acid, stimulating cell regeneration. Always use on cleansed skin or scalp. Apply generously over required areas and let dry. 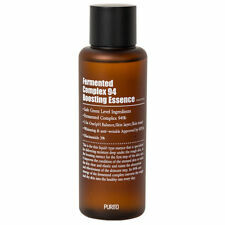 A calming face and scalp toner ideal for sensitive combination skin with T-zone problems. Clinically tested and found to be hypoallergenic and suitable for sensitive skin. Description: Facial Muscle Exerciser Mouth Toning Tool Exercise Toner Anti Wrinkle/Aging Item Specifics: Type: Vibrating Functional: Anion Color: White Balance Block Weight: Green:16.5g, Red:22g, Yellow:28.5g Box Size: 59 x14 x 5.7 cm （1cm=0.39Inches） Package Included: 1 pcs Facial Mouth Toning Tool Note: 1.Please allow 1-3cm error due to manual measurement. Please make sure you do not mind before you bid. 2.The colors may have different as the difference display, please understand. Payment . 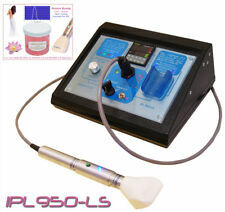 Toning & Tightening Kit 640-780nm with IPL850-LS Treatment Machine and System.